Daily Winery Tours All Summer Long! 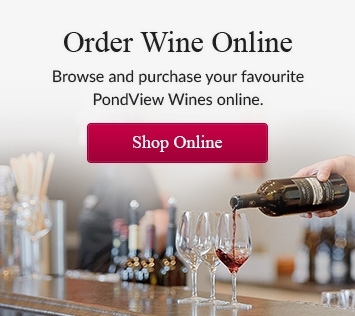 Start off with a refreshing sparkling wine reception, then be guided around and through PondView Estate Winery. Walk back to the pond (it's not too far), where the original homestead from the 1800s once stood. Hear the Puglisi family story, which originates in Sicily, Italy, and how PondView itself came to be afterLou Puglisi earned the title of Grape King in 2008-09. Learn about the grapes and overall winemaking process, as you head into one of our barrel cellars for your tasting of three of our wines. Your tasting will include a white, red, and Icewine. Interested in a Bella Terra Taste & Tour? On Saturdays we will offer the tour of PondView Estate, but with the option of tasting our Bella Terra Reserve Series wines in one of our barrel rooms, immediately following the tour. Included in this tasting will be our 2014 Chardonnay, 2013 Cabernet Franc, 2013 Cabernet Sauvignon, and our Double Gold Medal-winning Vidal Icewine. * Please dress appropriate for the weather, have proper footwear (for the walk back to the pond), and note that our barrel rooms are kept at a relatively low temperature. Please bring a light jacket if you get chilled easily - we want you to enjoy your experience!